CARTECO addresses an invite to GREEK industrial designers, graphic artists and artistic groups, who produce their products in small or large scale, manufactured, handmade or not, to a limited number or to order, and have a given business policy, to submit product details and information such as pictures etc. 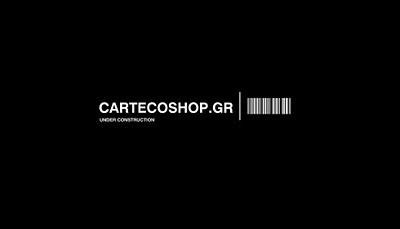 for sale in Greece and abroad through the new on-line store CARTECOSHOP.GR, which is under construction and will be soon on line. Contact details, telephone, email, website or blog, Address. Products that are likely to be released or sold in our market or other shops. Up to 10 photos for each product that we propose for sale in our online store at the required resolution. Variations of the product. Potential variety of colors, versions, designs, etc. 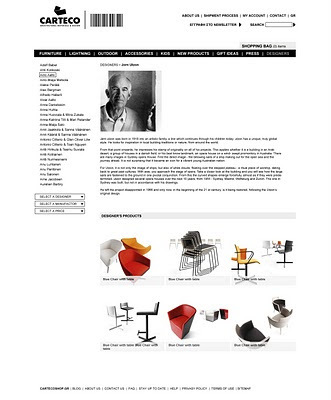 Product description, dimensions, materials. Delivery time by order of the day and whether there is a minimum order. Method of payment to you, your team or manufacturer. Once selected, we will contact you to discuss the details of our cooperation and to require additional material to be posted on the website. Thank you very much for your attention and interest in cooperation.